Gorgeous fruit. The freshest vegetables. Farm to fork — these sound like the foundation for a world-class dining experience. For students of MUSE School in Calabasas, this culinary experience is offered right on campus! The MUSE Kitchen bears little resemblance to a typical school cafeteria, and for good reason: It’s not typical at all. 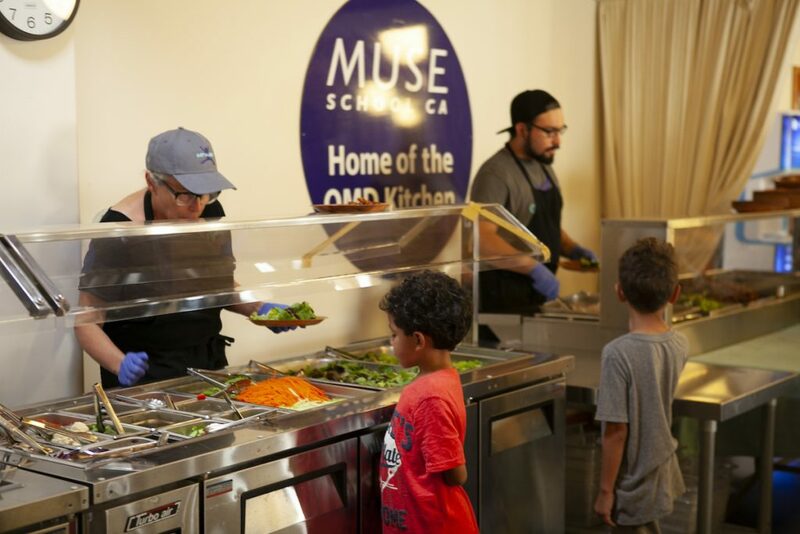 With 100% of the kitchen’s energy requirements met by solar panels and a commitment to serving only plant-based meals through its One Meal a Day for the Planet program, and named the World’s Greenest Restaurant, the MUSE Kitchen embodies sustainability. 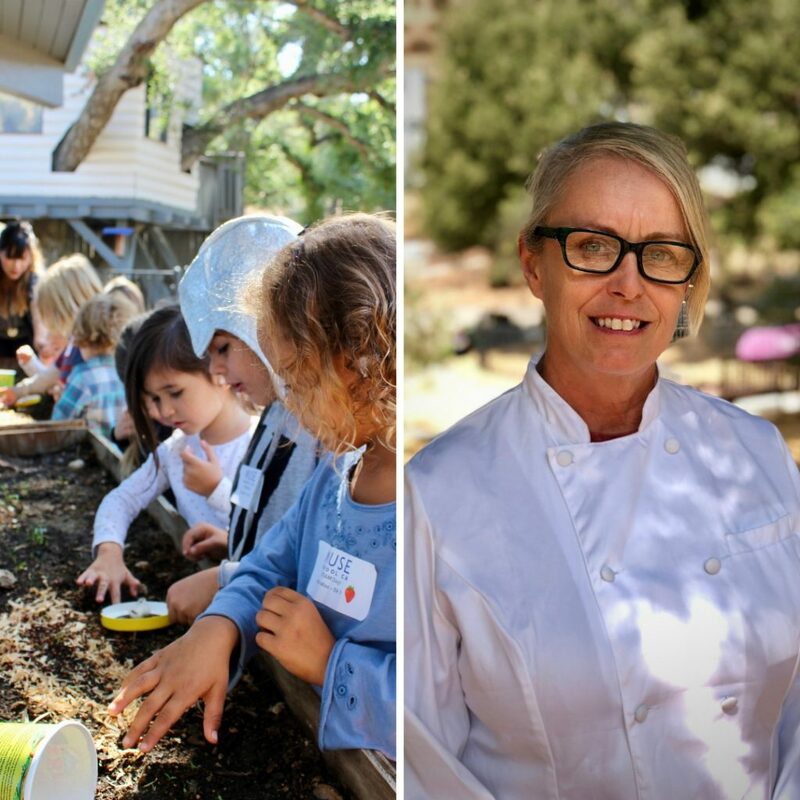 Led by Executive Chef Robin Swallow, the MUSE Kitchen serves as an active learning space to help students understand the complex relationship between food consumption and environmental impact. The plant-based menu significantly reduces the strain on natural resources, an important lesson that is passed on to the students. Food waste is carefully tracked and kept to a minimum. Ultimately, all waste is composted for on-campus gardens. It’s an impressive model, making a real-world impact. At MUSE, an appreciation and understanding of food extends beyond the kitchen. Innovative programs such as Seed to Table provide students first-hand exposure to sustainable farming practices. In the Seed to Table program, students are given access to on-campus planting beds, where they grow a variety of fruits and vegetables. 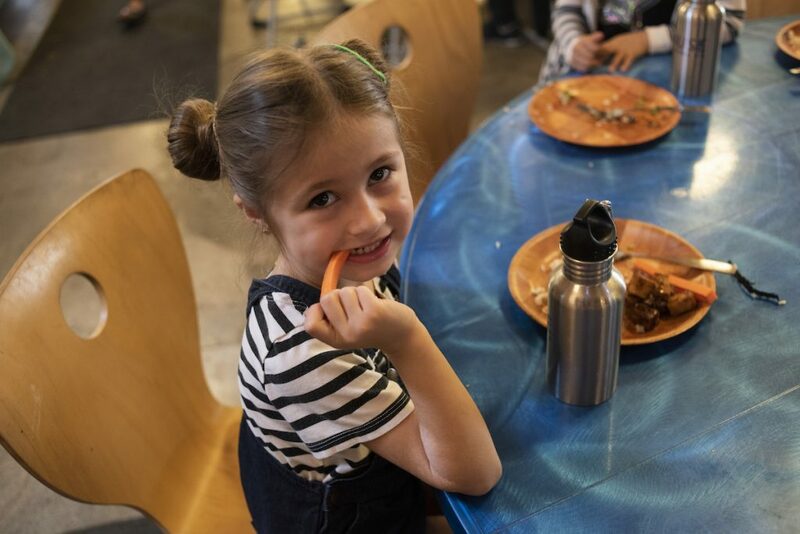 After participating in the harvest, students head back into the Kitchen to learn how to prepare and assemble the garden-fresh produce into delicious, plant-based meals. 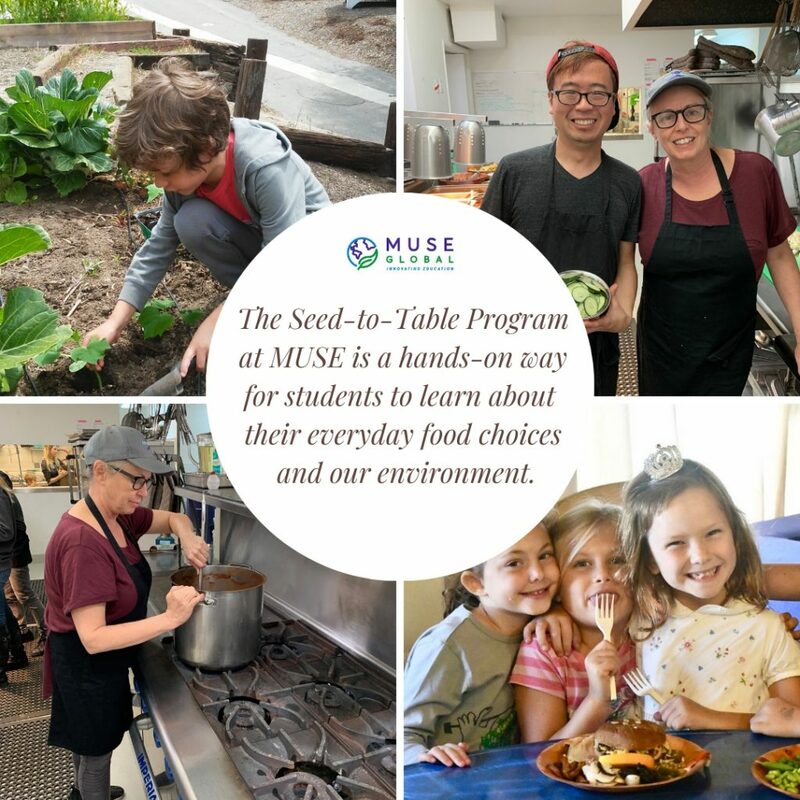 With direct involvement along every step, Seed to Table fosters a deep connection between MUSE students, and responsible consumption. Of course, when it comes to lunch, there’s always one crucial question: How’s it taste? 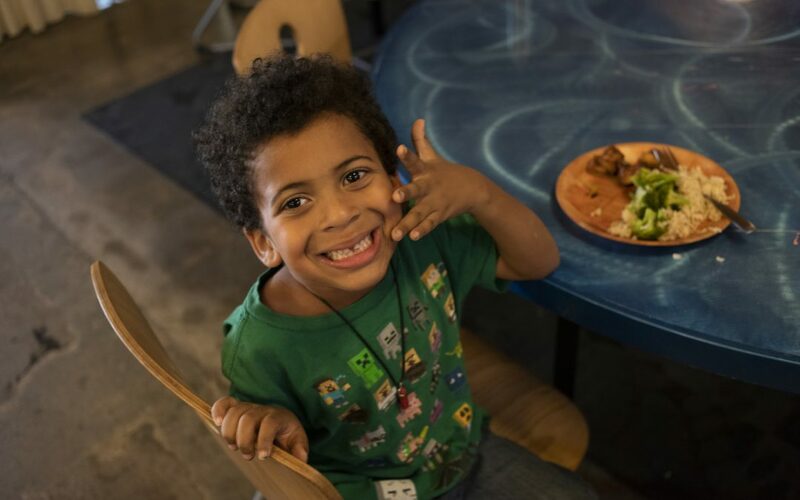 The feedback received by Chef Robin is overwhelmingly positive, with students frequently requesting that she share beloved recipes that they can teach their parents! And certainly, one glance at the weekly MUSE Kitchen menu reveals an impressive array of globally inspired, plant-based cuisine. Ranging from Thai red curry with coconut-lime rice to twists on beloved cafeteria standards (vegan sloppy joes), Chef Robin’s fare features something for every taste. Sustainable. Responsible. Delicious. Fabulous food that the students can feel good about eating. When it comes to “school cafeteria,” The MUSE Kitchen has redefined the term. Keep a lookout for future posts, where we’ll share some of Chef Robin’s most popular plant-based recipes! MUSE Global is now open to franchising opportunities around the world. Visit us at MUSE Global for information on how you can bring this sustainable education model to your own city.